The new Jaguar XE will be the most economical Jaguar saloon ever built, with diesel models on course to return 75mpg and below 100g/km of CO2. The British-built saloon get its official unveiling in London in September, but Jaguar has unveiled the aerospace-inspired technology behind its new car, which will go on sale in 2015. Jaguar hopes the XE will rival the BMW 3 Series and Audi A4, with a new range of ultra-efficient engines and an all-new aluminium-monocoque, with lightweight aluminium accounting for 75 per cent of the structure. The XJ, XK and F-Type have all been developed using exceptionally stiff bonded and riveted aluminium structures, but the XE will take this aerospace-inspired technology to the next level with low weight and high levels of torsional stiffness. According to Jaguar, the lightweight constriction will make the XE one of the most economical saloons on the market, with the diesel model returning an average 75mpg and less than 100g/km of CO2. 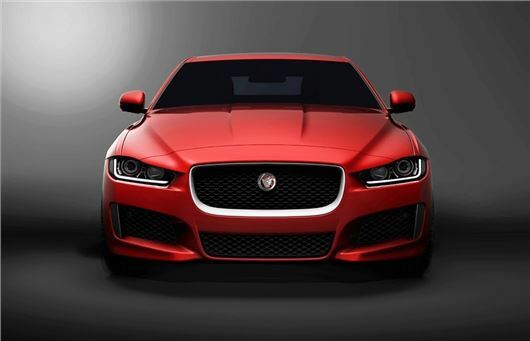 The XE will be the first car in the world to make use of a new grade of high strength aluminium - called RC 5754 - which has been developed specifically for the XE. The styling – from what we have seen – looks to be an evolution of the XF saloon, but with detailing seen on the C-X17 SUV concept. The Jaguar XE will be powered by the brand-new family of engines, dubbed the Ingenium, due shortly to go into production in the company’s new facility in Wolverhampton. The range is likely to start well below 2.0-litres, although probably not at launch – the new engine factory is capable of producing three-cylinder power units.